In-house physician recruiters are charged with filling physician vacancies in advance, but reaching, recruiting and retaining providers is a new challenge, given the change in our health care landscape. PracticeLink, one of the nation’s largest online physician job banks, is addressing these issues by hosting a physician career advancement workshop and job fair following the annual Carolinas Association of Physician Services Conference. Experts predict the nationwide physician shortage will continue to worsen, as health care reform and an aging population create a demand for doctors that far exceeds the supply. South Carolina is among the hardest-hit states, ranking 38th nationally in physician-population ratio according to the Association of American Medical Colleges. In addition, the U.S. Department of Health and Human Services recognizes nearly every county in the state as a primary care shortage area. The shortage is exacerbated by the fact that physician openings take an average of 194 days to fill, according to the Association of Staff Physician Recruiters, and because physicians are the primary revenue drivers for health care organizations, each physician vacancy represents hundreds of thousands of dollars in lost revenue. For this reason, hospitals and other medical groups often have in-house physician recruiting departments dedicated to anticipating provider needs and filling positions as quickly as possible. “In-house physician recruiters play a critical role in health care. Without recruiters, organizations can’t get the providers they need, and without providers, patients can’t be seen,” said Ken Allman, CEO of PracticeLink, which runs the most widely used online physician job bank. Health care recruiters from across the Southeast will be gathering in Charleston March 17-18 for the annual Carolinas Association of Physician Services (CAPS) conference. 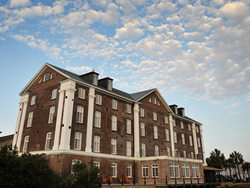 PracticeLink will help recruiters connect with the providers they need following the CAPS conference by hosting a physician career workshop and job fair from 5:30 to 8:30 p.m. on Tuesday, March 18, at the Historic Rice Mill Building. Job-seeking physicians and advanced practitioners in training or practice are invited to attend the PracticeLink Job Fair. Ken Allman and other PracticeLink staff will be available for interviews Saturday, March 15, through Tuesday, March 18, or upon request, to speak about the physician shortage, the challenges facing physician recruiters and the health care industry as a whole. PracticeLink is headquartered in Hinton, W.Va., and also has offices in St. Louis and Louisville, Ky.